Individual posts about series and topics that caught my interest. Organized in more-or-less chronological order. Articles written and hosted right here on JND. Ping-Pong grapples with the moment in adolescence where hobbies become careers and “fun” becomes “work,” and challenges society’s focus on winning in favor of embracing play. 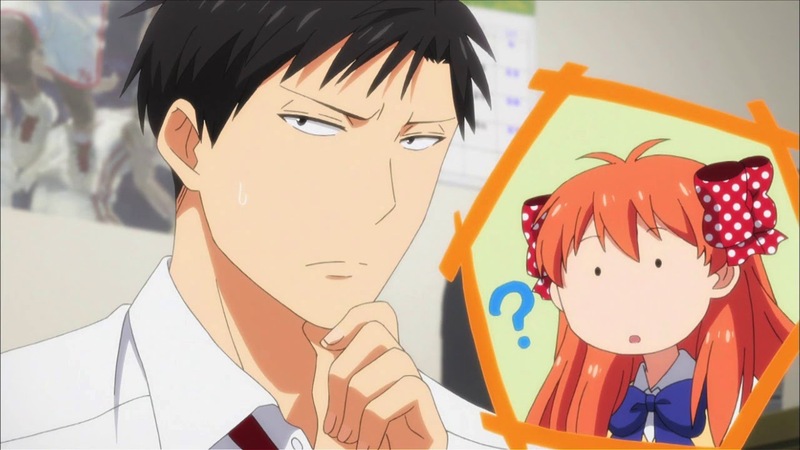 Monthly Girls’ Nozaki-kun deftly flips the expectations of its characters and audience to challenge our understanding of traditional gender roles both in fiction and out of it. Tokyo Ghoul follows the beats of a traditional Hamlet-style tragedy… but is that the story it truly wants to be? A personal essay about asexual representation in anime and the importance of Sunakawa Makoto in MY love STORY!! This campy musical cleverly indulges in the “bad boy” romantic fantasy without ever losing sight of the important line between escapism and reality. A sequence of mini-essays about Tanaka-kun is Always Listless, a Nice Comedy doing lots of Nice Things. In addition to being a pleasantly silly otome adaptation, Magic-kyun also uses its world of “magical arts” to deftly address the struggles of young artists. With its cast of unconventional players working towards a common goal, Haikyu finds a smart balance between encouraging individualism and fostering teamwork. A Legend of Korra series “review” that swiftly spiraled into an essay about power, privilege, and Korra’s journey towards empathy. Princess Jellyfish‘s early chapters often depict the prejudices people face because they don’t fit societal norms—and isn’t afraid to show how those prejudices can be held by anyone, even those who face prejudice themselves. A sprawling essay outlining my thoughts on engaging with our favorite stories (and one another). Articles written for and hosted on other sites. How two very different male protagonists use their art forms as an outlet to express their femininity. The team talks “trash characters,” those flawed darlings we relate to more than we’d like to admit. An exuberant exploration and celebration of what it means to be a girl. This wacky rom-com episode comes with a happily inclusive twist. A look at how framing can turn an innocuous scene into predatory one. Not so much a review as it is a series of commentaries written by myself, Vrai, and Amelia. I really liked this film, so naturally I spent lots of words discussing its focus on feminine perspectives, “ordinary” strength, and why this story matters now. A deep-dive into the upbeat and inspiring seventh episode of Princess Principal, which offers perhaps the show’s most nuanced depiction of inequality to date, asking our central cast to acknowledge their own privilege—and encouraging them to find a better way forward. Caitlin, Vrai, and I discussed the line between reality and fantasy and how both creators and consumers can responsibility engage with age-gap romances in media. Untangling fifteen years’ worth of feelings about the messy, emotional, flawed, sincere shoujo fantasy that’s been a part of my life since middle school. Power, perspective, and how little decisions can create major differences. What begins as a sharply crafted horror story soon reveals itself to be a sophisticated critique on restrictive social practices—including the hellishly limited roles expected of girls. Come for the neat animal facts, stay for the charming cast breezily ignoring gender norms. Team Rocket’s special backstory episode defies as many conventions as they do, taking the classic team origin story and turning familiar gendered archetypes cleverly on their heads. A refreshingly optimistic and welcoming look at nerd culture nestled inside a fanservice show. 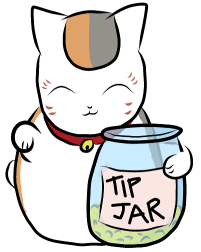 Never judge a book by its cover or an anime by its quantity of chibis. A loving and extremely not-serious overview of an old favorite, written in honor of the Summer 2017 Saiyuki Reload Blast anime. Through its colorful world and unique individuals, The Eccentric Family asks us what makes us who we say we are—and wonders how we’d find that answer in the first place. This low-key inspiring series picks up where most high school anime leave off, exploring what happens after you don’t achieve your childhood “dream” and showing how people can still find happiness and fulfillment on the other side of professional failure. A little love goes a long way in Sailor Moon Crystal‘s third season. This goofball series perfectly captures what it’s like to be in high school. How the anime differs from the source material—and why that’s a good thing.